Employers have reported a rise in the average age of their employees and four out of 10 expect age-related health issues to be more of a problem in the future. A survey of 1,000 employers and 1,000 employees by health insurer and provider Aviva found that 29% of employers are already experiencing a rising average age of employee, 37% believe the average age of the workforce is going to increase further and 38% believe this trend will bring new health issues with it. The Health of the workplace report found the removal of the default retirement age, increased longevity and continued financial pressures on the over-55s were starting to show their effects. While half of the employers polled believed there were positive benefits for individuals working past the traditional retirement age, a quarter were concerned that an increase in the number of older employees would mean sickness absence rates would rise. A similar proportion were concerned that older employees would be absent with more serious conditions than their younger colleagues. Nearly three-quarters believed health issues in the workplace would increase because older employees tended to suffer from different medical complications to younger employees. One-third of employers said that they would need, as a result, to offer different health advice, with one in five conceding they would need to offer alternative health benefits and a quarter saying they would need training to help spot signs of serious illness, such as dementia. 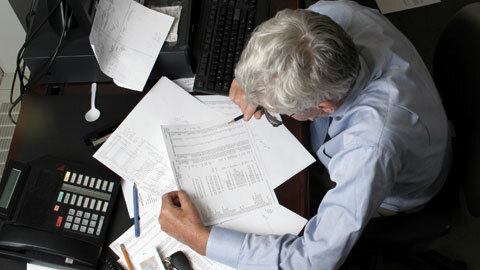 More than one-third appreciated they might need to introduce flexible working hours for older employees. More than one-third of employees over the age of 55 who were polled, meanwhile, said having access to benefits such as private medical insurance could help them stay healthy, compared with one-fifth of 25- to 34-year-old employees. Dr Doug Wright, medical director for Aviva UK Health, said: “Life expectancy has been increasing for some time and we are beginning to see more people working past what is considered the traditional retirement age to meet their financial commitments or to help keep themselves fit and active. 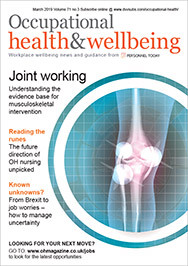 In a separate development, the Health and Safety Executive has published a review of literature around age-related changes and safety-critical work. The RR946 research report aims to assess existing evidence on age-related changes in performance and safety-critical work, identify tools that can help to assess human function and performance, and consider what the findings mean in terms of the need for future work.